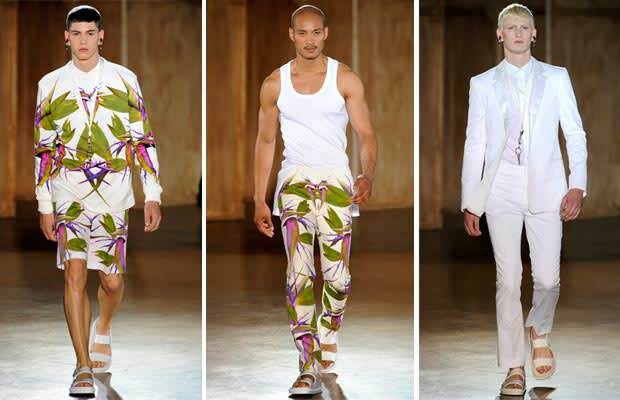 After his impressive collection full of Rottweiler prints, Riccardo Tisci continues to create another great collection for Givenchy with the latest Spring 2012 presentation. Moving away from the darker mood of his previous collection, Tisci made room for brights with a ton of white looks, along with prints of tropical flowers and hummingbirds. Ignore the men in skirts and check out the staple items like the T-shirts, trucker hats, bomber and baseball jackets, shorts, and tailored suits.